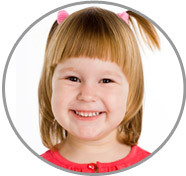 Fairfax County, VA Nannies at our leading agency are the most qualified in the industry! Tammy loves caring for children with her upbeat and fun personality with the Fairfax County, VA Nannies! "If I was asked to describe in one sentence the reason I have chosen to be in the Nanny profession over any other it would have to be because it allows me to work one-on-one with children! I have been serving in some form of childcare for over nine years and can honestly say I love what I do! I feel that children are our future, and if we want a peaceful world it is our responsibility to guide each child in the right direction, by our positive example. We must also provide them with a stimulating non-conformist environment to become their own individuals. We can only hope that they take what they learned from us and make this world a better one. My goal as one of the Fairfax County, VA Nannies is to provide learning, stimulating, loving and safe environment. I am willing to do housekeeping that includes laundry, dishes and making meals for the children. If I had to describe myself in five adjectives I would say that I am loving, nurturing, energetic, fun and understanding. Activities that I would like to incorporate in the daily plan for the family I care for would include lots of books and extend those books into other activities, such as science, math, gross motor, language, music and art. I also would like to extend activities based upon their interests and where they should be at their stage of development. If asked to describe the perfect family seeking a Nanny like me I would hope they would be welcoming and friendly." "Tammy has done an outstanding job caring for our children over the years! In some instances, my wife and I had her watch the children the whole weekend. Both my wife and I would highly recommend Tammy for any childcare position! She is very conscientious and knows exactly how to deal with children. She's the best! My wife and I have known Tammy for a number of years and she was wonderful with our children. The children love her and we feel completely comfortable with her demeanor and abilities. She'd make a great nanny!" "My girls adore Tammy! She has a wonderful spirit that children respond to. I think her background in the childcare field gives her a unique skill both as a mother and caregiver. Tammy is highly imaginative and creative and play and wonderfully in tune with their needs. My daughter Madeline has a food allergy, and Tammy has always gone out of her way to make our family feel comfortable by making sure that all the food shared by our children was in accordance with Madeline’s diet. Tammy has been truly wonderful to our family and we value her both as a friend and as one of the most amazing Fairfax County, VA Nannies!" "My daughter loved Tammy! They bonded really well and interacted well with one another! Tammy took excellent care of my daughter she was always fed, bathed and safe. I could always rely on Tammy to be on time or stay late if I needed her to! Any family searching for Fairfax County VA Nannies would benefit from her help!" "Tammy is absolutely wonderful! She is very patient and focused on what my son's needs were. She was always very calm and never stressed. It was amazing. She was definitely one of the best childcare providers I have ever employed. My son absolutely loved her! She would always keep me up to date on the daily activities and answer any questions I had. She would be an excellent addition to any family. I highly recommend her to any family!"